How to Move WordPress Blog to a New Host – Moving WordPress blog to a new host can be extremely daunting and tough but not when you follow the correct steps. There are many risks that can come with the migration of WordPress blog to a whole new different host. 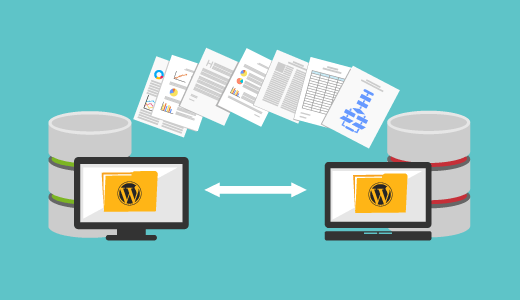 So, here we will discuss some of the easy and appropriate steps for the successful migration of WordPress blog to new host. If you are looking to migrate your WordPress blog to a new host then you have come to the right place. There could be any reason for you to change the host. Not doing it properly will not only waste your precious time but is also capable of damaging your website. Therefore, it is mandatory to do this process correctly. The biggest risk that comes with moving WordPress blog to a new host is the data loss and potential downtime. Hence to avoid these situations you must follow the right steps. Therefore, below mentioned are the easy steps that you can implement while moving WordPress blog to a new host. If you do not like your current host then it is high time for you to change your hosting service. It is very important to choose the right WordPress host so that you do not have to move anytime soon. There are many effective and beneficial hosts that can benefit you. After buying new WordPress host, do not install WordPress immediately. Your new web host should be empty means without files. After choosing the right WordPress host the first thing you need to do is to install and activate the duplicator plugin in the website you want to move. This is an effective plugin to make things easier. 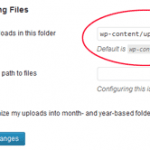 After the installation, go to duplicator then packages in the admin area of WordPress. Click on create new to create your own package. After you are done with the package click on build. Then click on archive and installer buttons to install the package. This will automate the installation process for you. After you are done with the above step importing your site to new web host will be the next big step. You can easily do this by connecting your files to FTP. Using the FTP client, upload both of these files to the root directory of WordPress. If you are not sure about this process then you can contact your web hosting services. Make sure your WordPress is completely empty. Another major step is to change the host files so that you can prevent downtime. You can get errors because your domain name is still pointing towards your old host. So it is important to change the host files on your account. To do this you need to find the IP address of your new web host. Follow the below-mentioned steps to change the host files. Go to programs and then to accessories. Right click on the notepad and then select run as an administrator. From the notepad select hosts file and copy the IP address. Do not forget to replace the IP address so that the domain can point to the new host. Now you need to run the installer. If the installer fails to connect then check the previous steps for correction. This will automatically import the database in the first step. In the second step, you will have to update the both previous and new URLs. In the final step, you can finally complete the process by verifying everything. This is one of the most important steps. Update your domain or just transfer it to the new host. 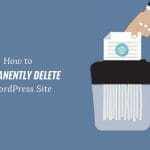 Save the changes and you are done with the moving of WordPress blog to new host. Moving WordPress blog to a new host can be pretty tough for the beginners. So follow the above-mentioned steps rightly and you will get better results eventually. Choose your new domain with extreme care so that you do not face any trouble anytime soon.